JERUSALEM, Jan. 21 (Xinhua) -- Israeli Prime Minister Benjamin Netanyahu said that Israel is much more accessible for international flights, at a launching ceremony of the country's second international airport on Monday. 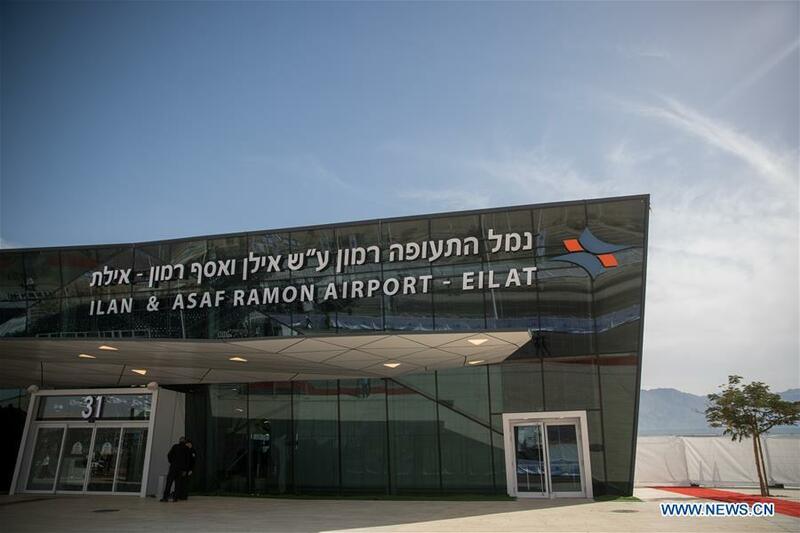 The new Ramon Airport is located in the south of Israel, close to the Red Sea coastal city of Eilat. It is one of the leading destinations for tourists coming to Israel. Until now Israel had only one international airport, Ben Gurion, located at the center of Israel, near the city of Tel Aviv. The new airport will be much more convenient for the visitors and residents of southern Israel. The Israeli government believes that the new southern airport will encourage many tourists, from around the world to choose Eilat as their favorite resort. In 2018, more than four million tourists visited Israel, a record for the country. The new airport is designed primarily for low-cost flight companies which continually increase their flights to Israel. However, the airport is suitable for all types of aircraft in the world. Ramon Airport is named after late Israeli astronaut Ilan Ramon, who died at Space Shuttle Columbia disaster, and his son, a former IDF fight pilot, Asaf Ramon, who died when his military jet crashed. The Ramon Airport is the first civilian airport built in Israel since the establishment of the state in 1948. Ben Gurion, the main central airport of Israel, was constructed in 1937. In the future, the Ramon Airport will be able to receive 4.5 million passengers a year.